Today, FloCrit brings you cute photos of our moms and their kids and a program that promotes literacy and reading together. 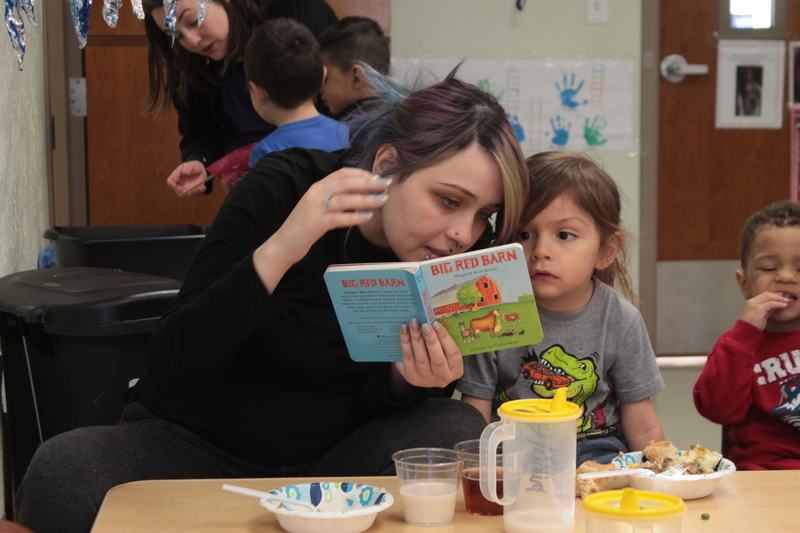 Literacy Lunches, a quarterly program, bring teen moms into their child’s Early Childhood Education (ECE) Center classroom to share a book and a meal. This time together provides a space for mother and child to bond and teachers to talk about the importance of literacy and reading at home. At each Literacy Lunch, all classrooms read the same book. January, 23’s Literacy Lunch featured the book Big Red Barn by Margaret Wise Brown. Mothers and their children were encouraged to use their MY Denver 5 by 5 card to visit the Denver Zoo or the National Western Stock Show to get some real life personal engagement with the theme of the book. 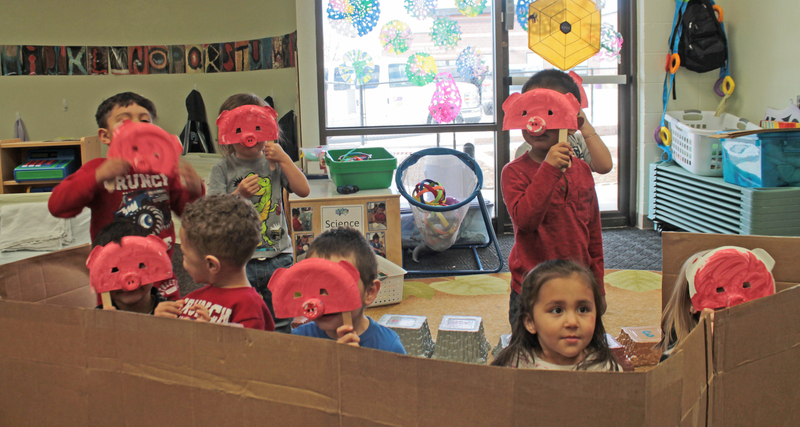 Classrooms created art based on the book, like the pig masks made by the preschool class. Mothers and children enjoyed play time and snuggle time together after lunch and story time was over.